Vampires, Goths, gemstones and beautiful beaches, Whitby is a fascinating place to visit for a day out. 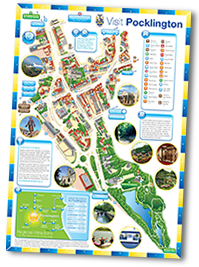 Situated at the mouth of the River Esk, Whitby has plenty on offer for a fun filled day out. Perched high on Whitby’s East Cliff is Whitby Abbey, an imposing 13th century gothic ruin which stands tall above the harbour and was the setting for part of Bram Stoker’s horror novel Dracula. 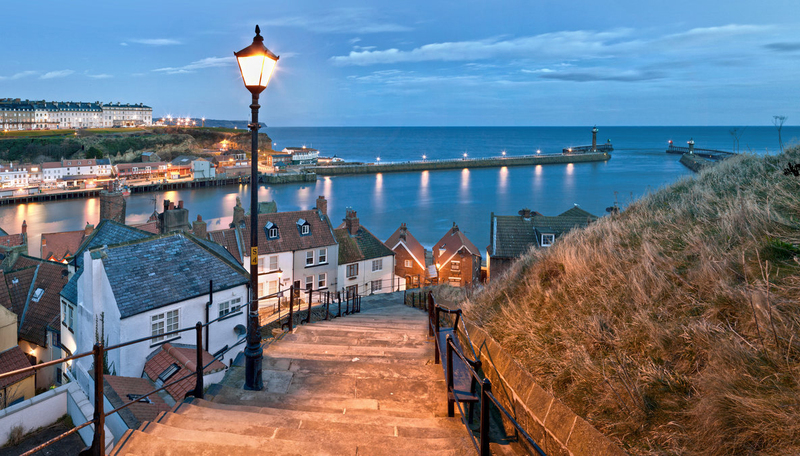 A trip to Whitby would not be the same without climbing the 199 steps that lead up to Abbey, counting each one as you rise higher above the town. At the top you will be greeted with a fantastic view over the harbour where you can see the many small fishing boats arriving with their catch. 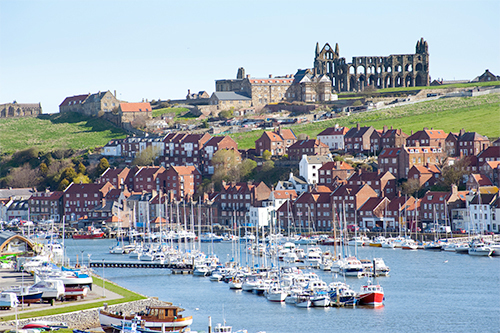 Once home to bustling shipyards, Whitby’s maritime history includes close links to Captain James Cook, who set off from Whitby on 3 pacific voyages in HMS Bark Endeavour and HMS Resolution, both of which were also built in the town by Thomas Fishburn. 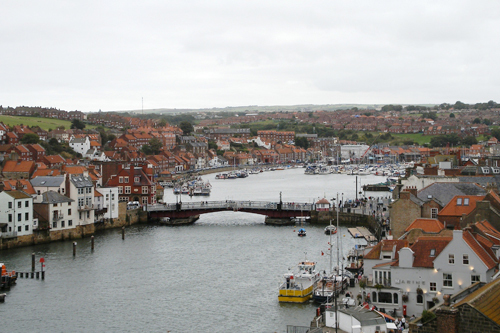 Whitby’s other notable landmarks include an operational swing bridge spanning the River Esk and the grade II listed east and west piers which shelter the harbour. On top of the west cliff is a statue of Captain James Cook and a large whalebone arch to commemorate the towns whaling industry heritage. Whitby has fantastic a variety of boutique shops nestled within it’s quirky streets, many of which selling unique Whitby Jet jewellery. The town hosts a number of events throughout the year including the Bram Stoker Film Festival and the increasingly popular Whitby Goth Weekend.